Starting a business from nothing and making it a success is truly a remarkable achievement and can give you a feeling of accomplishment like no other. When you first start up at home, you tend to take on all things yourself. You keep the costs low from working out of your home, you tackle all aspects of the business and you work hard. But often after a while, this business can outgrow just you, and the option of expanding becomes a real possibility. If you are at this stage, then these are the options you have. One of the first things you will need to do is consider expanding your product or service range. You may have hit a point in your business where you naturally can make this next move. It might be something that is just the next step, or you may want to advance into a different market or area. When it comes to services, perhaps you could hire or outsource more people to do it, that way expanding your business in that remit. Or maybe adding to what you can do. There are so many avenues you can explore when it comes to your product and service range, which is why it can naturally be the easiest step to take when it comes to moving your home business forward. Working from home has some amazing perks. You get the chance to not only save on the overheads of a lease and premises, but you also get the flexibility of working as and when you can or want to. However, if you are serious about expanding your business you may get to a crucial point in time where you need to move into a commercial property to help move the business along. This is when websites like proplist.com could really help you out in finding a decent place that will work for you. The options can mean increase in stock, being able to meet with more client or eventually hiring staff. Which leads on to the next option that you have. Having a home business often means that the business is on your shoulders 100% of the time. But at some stage if you do want to move your business forward, then you may want to consider hiring staff and outsourcing. This can enable you to free up your time to focus on the areas of the business where you can make a big difference. This could be product development or driving the sales into the business. Outsourcing could be IT, accounts or even something that needs consistent work like social media. Finally, expansion doesn’t always mean new products or big business premises, or can sometimes mean a rebrand and new direction for your business. 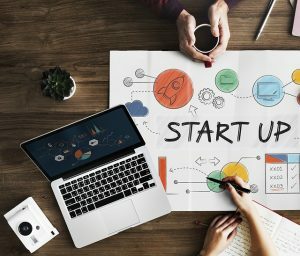 This can then lead on to other areas to explore, perhaps then new products, but initially this can be seen as an expansion on your business idea. Let’s hope this has given you something to think about when it comes to expanding your home business.